Tehran's Foreign Ministry accused Israel of being a “warmonger” Tuesday, and accused Prime Minister Binyamin Netanyahu of trying to destroy Iran's relations with the rest of the world. The ministry spokesman was reacting to Netanyahu's interview on CBS, in which he said Israel's clock for action against Iran's nuclear weapons program was running out. 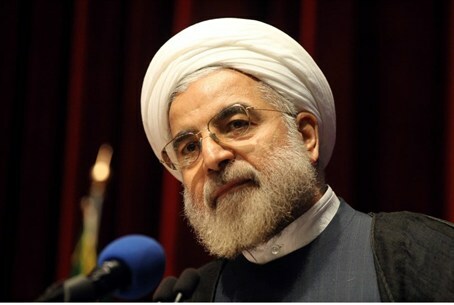 The spokesman said that Israel is upset over the victory of Hassan Rouhani in the presidential elections, and that it fears that the international community will relax its pressure on Iran in order to create a better environment for negotiations with the new president. "They're edging up to the red line. They haven't crossed it yet," Netanyahu said on CBS News's "Face the Nation." Netanyahu said Iran's nuclear policies were unlikely to change under its next president, former nuclear negotiator Hassan Rouhani, who will assume power on August 3. "He's criticizing his predecessor (President Mahmoud Ahmadinejad) for being a wolf in wolf's clothing. His strategy is be a wolf in sheep's clothing. Smile and build a bomb," Netanyahu said. "What is important is to convey to them -- especially after the election – (is) that (the) policy will not change," he said. "If sanctions don't work, they have to know that you'll be prepared to take military action – that's the only thing that will get their attention," he added.